This is the time of year that my garden seems to get the better of me. Thankfully, this year I got a jump start on my weeding. It’s still not perfect, but we’ve been able to enjoy the yard a bit more lately. It’s still early days, but there a few blooms out there, so I decided to snap a few photos before they fade (disappear). 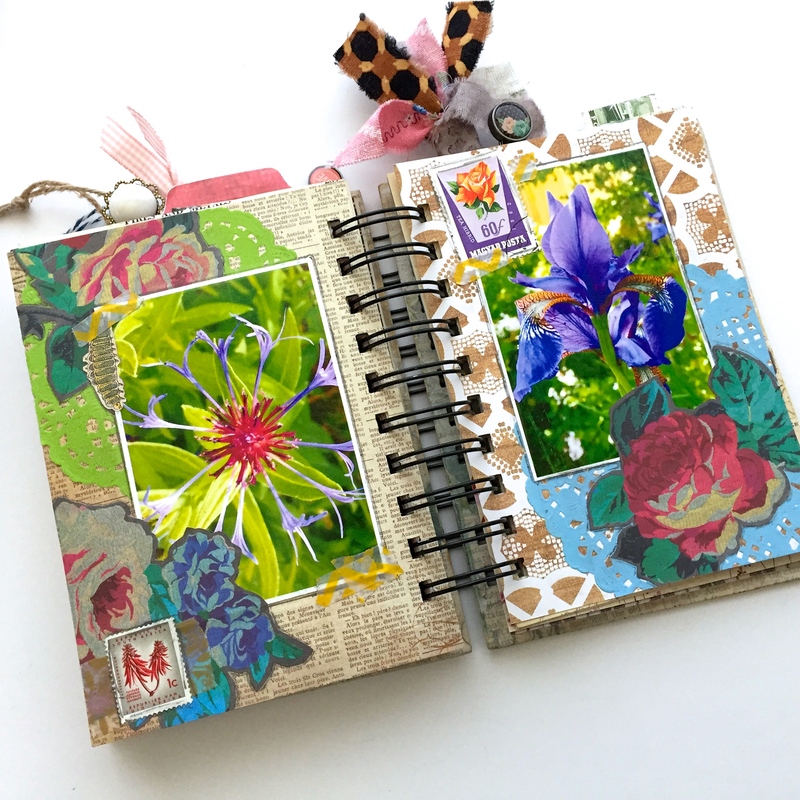 And what better way to use photos of flowers but in my Garden Journal. Believe it or not, I didn’t use the saturation when editing this photo, crazy! 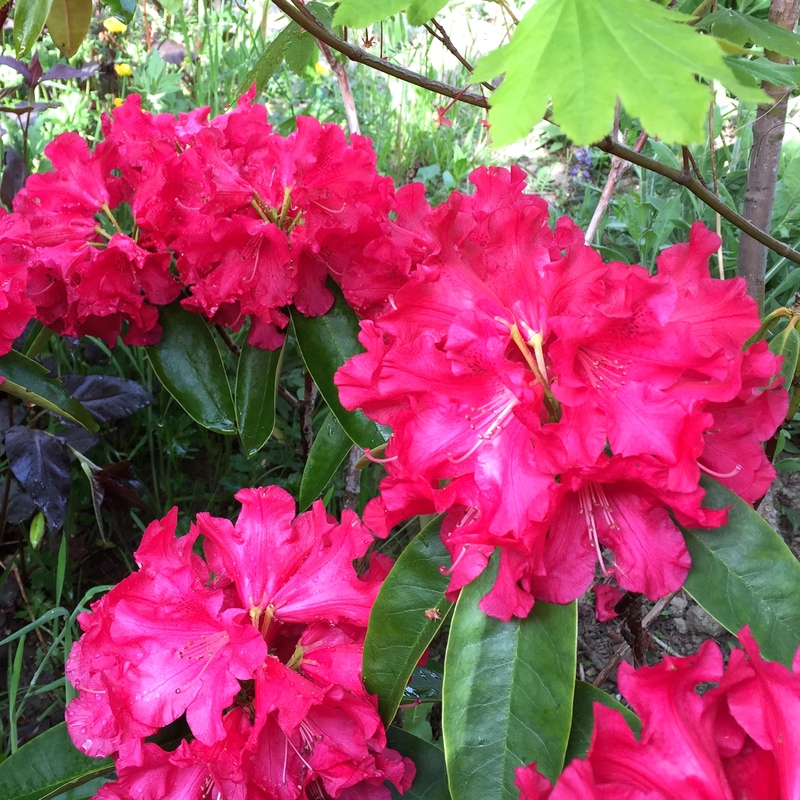 This Rhodie bush is in the way back of our garden, it’s finally big enough to see from the patio. 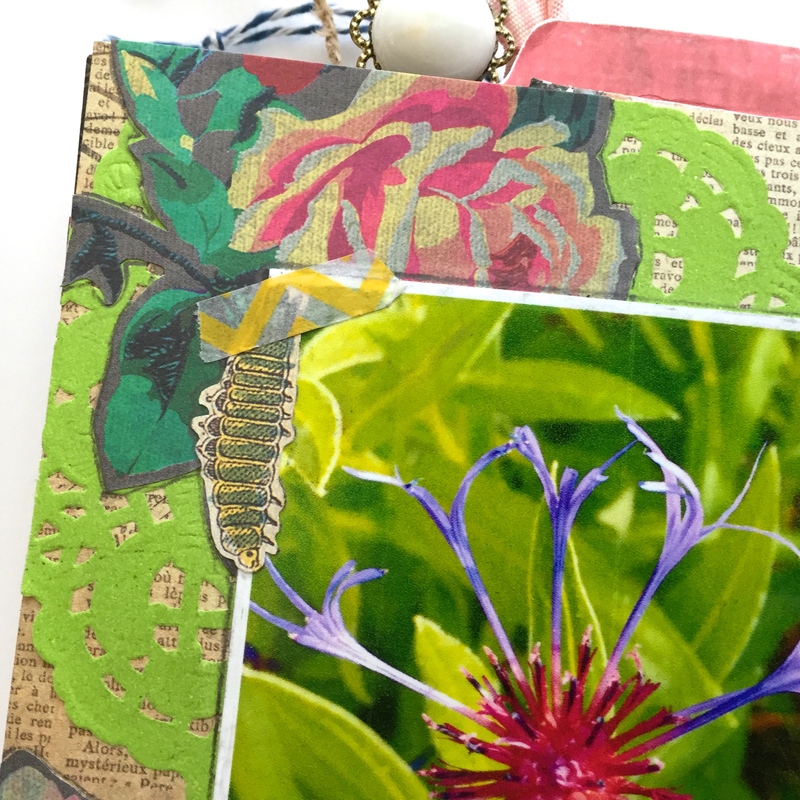 Here are some of the photo options I cropped and printed to fit in my mini garden journal. 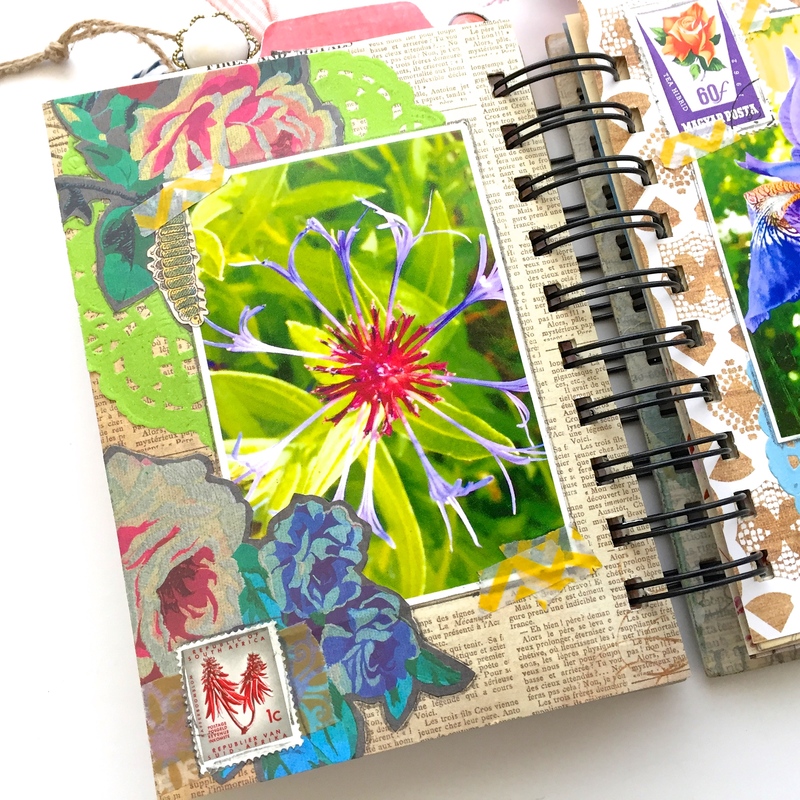 This is a great way to incorporate some memories into an art journal without journaling. But I will be adding the date. My Bachelors Button. I’m proud to say that he has given birth to many offspring which I will be relocating this weekend. I was pretty excited to use these particular flower cut outs that I wrote about last week for this project, the colors were perfect. These Irises really are beautiful, but I think it was the sunlight that took this shot to the next level. I didn’t need to do much editing on this photo, it’s a tad pixelated, but it’s not going to be entered into a photo contest. There you have it, a peek into my garden. 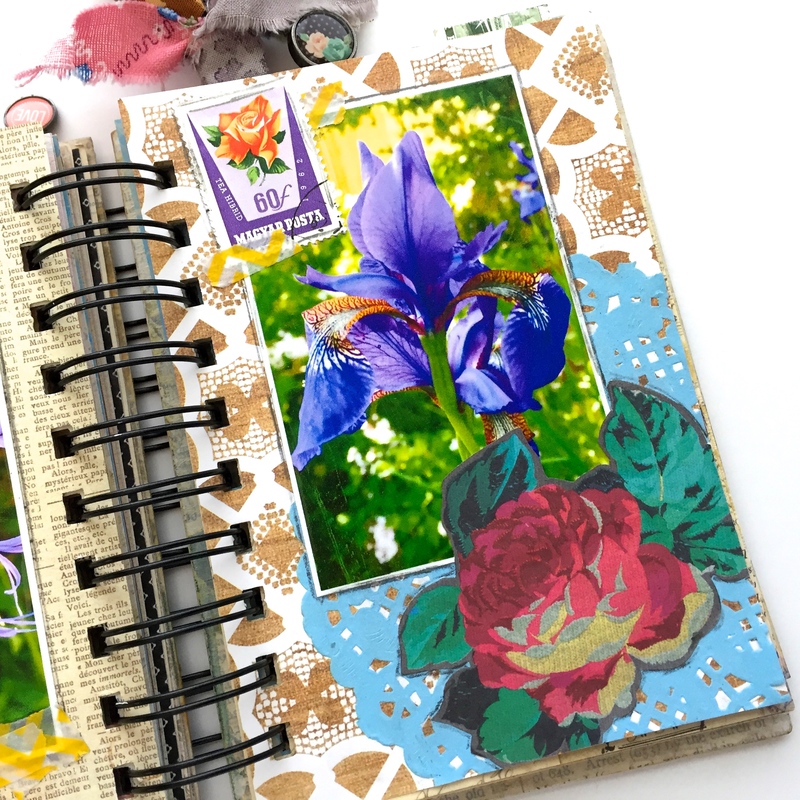 Adding photo memories to this little art journal has given me lots of ideas for future projects. They say a picture speaks a thousand words, so I’m sure this will translate to my next project beautifully, more on that in a couple of weeks. 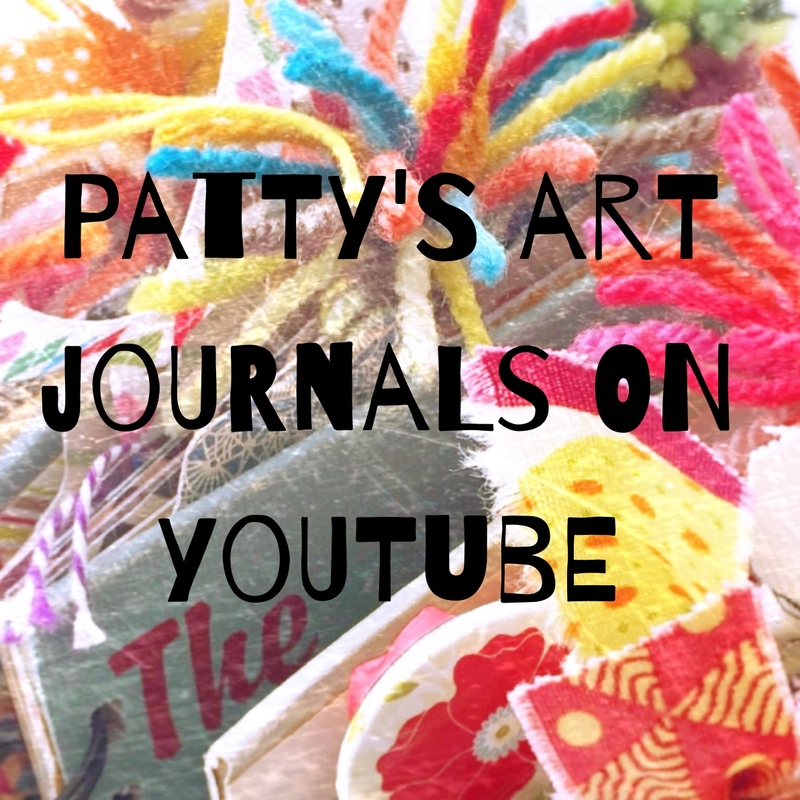 I still have a few things to share about this journal that I will be talking about next week. 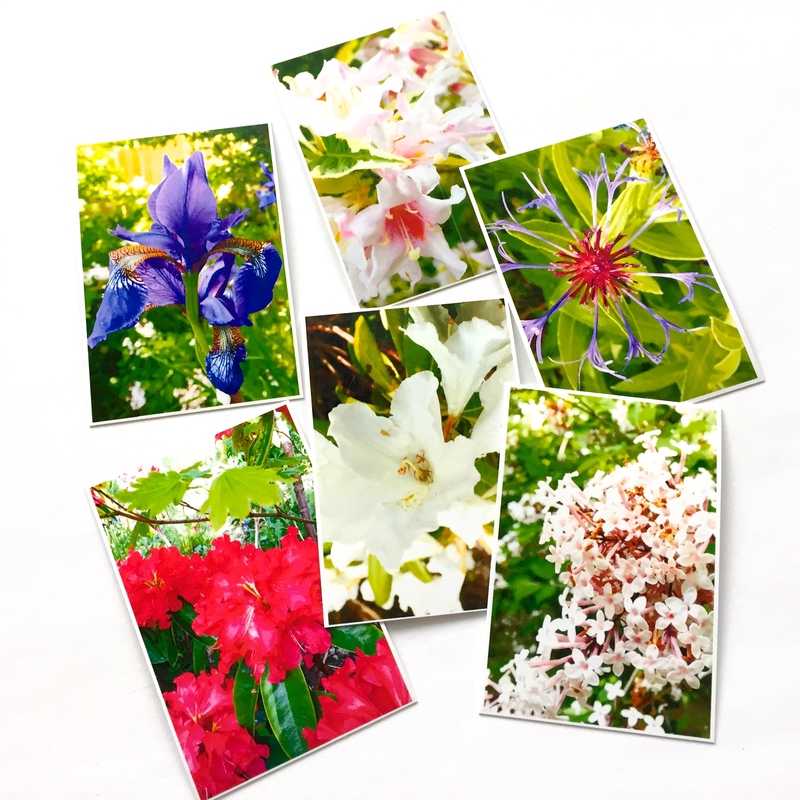 Beautiful photos, Patty…great way to show off awesome Spring blooms. Nice job! This message sent from Joan’s IPad! Beautiful photographs! 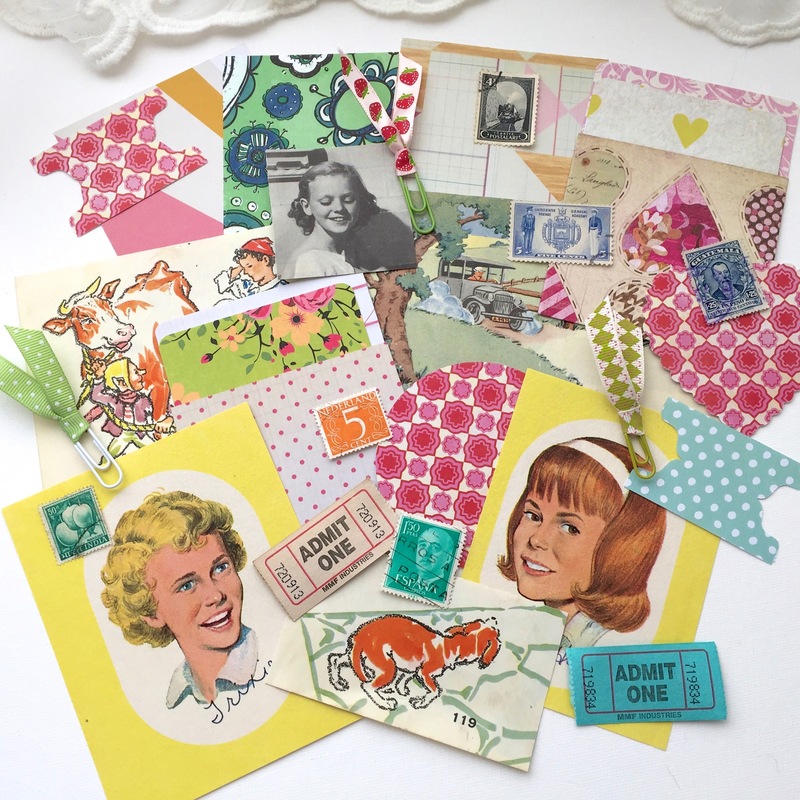 I like how you’ve combined your love for gardening with your new found joy in cutting paper flowers.